If you asked me what was the top lesson Turkey learned from its two major operations in Syria — Euphrates Shield and Olive Branch — my answer without hesitation would be, “Don’t enter Syria unless you are sure of air superiority.” Both operations taught Ankara that close air support provided by F-16s, armed drones and attack helicopters to protect Turkish forces on the ground and to maintain the operational tempo are vital against enemy elements equipped with well-fortified posts, tunnels, anti-tank missiles, improvised explosive devices, snipers, conventional armor and massive indirect fire support with howitzers and multiple rocket launchers. Turkey is well aware that a military operation in northeast Syria for Turkish soldiers to hold their ground and then advance requires, from time to time, opening Syrian airspace to the Turkish air force. During Operation Olive Branch, Ankara received substantial support from Russia involving airspace. Moscow was able to regulate the pace of the Olive Branch operation by occasionally closing Syrian airspace to the Turkish air force. Moscow’s closure of Afrin airspace to Turkish planes between March 18-24 allowed Kurdish People’s Protection Units (YPG) elements to withdraw from Afrin to Tel Rifaat without being targeted by the Turkish air force. In other words, Moscow’s permission for Ankara to use Syrian airspace enables Russia to set the pace and duration of Turkish military operations inside Syria. Eyes again have turned to Moscow, which hosted a visit Dec. 29 by a major Turkish delegation of the foreign minister, the defense minister and the head of national intelligence. The top item on their agenda, although it was not mentioned in post-meeting statements, was to persuade Moscow to allow Turkey to use Syrian airspace that has already been approved by Washington on condition that Turkey take on the Islamic State (IS). The Russian team included Foreign Minister Sergey Lavrov, Defense Minister Sergei Shoigu, Chief of General Staff Valery Gerasimov, presidential envoy for Syria Alexander Lavrentiev and presidential aide Yury Ushakov. “Turkey and Russia said they agreed on coordination in Syria to clear all terror groups after the US announcement for withdrawal from the war-torn country. Lavrov stressed that the two countries agreed on coordination of troops to eliminate the terrorist threat in Syria, adding that the agreement also covered the need to intensify the work to ensure repatriation of refugees,” the Hurriyet Daily News reported. The US Air Force has effectively maintained a de facto no-fly zone over northeast Syria since the summer of 2014, marking the YPG Kobani resistance against the Islamic States. The US Air Force intercepted Syrian aircraft and helicopters targeting Kurdish forces in Hasakah in August 2016 and even shot down a Syrian warplane targeting Kurdish-led forces in Tabqa in July 2017. Also, in February 2018, some US Air Force A-10s decimated a heavily equipped Assad regime armored column, which was launching an attack across the Euphrates River against critical YPG targets. Since the summer of 2014, despite some dangerous battle situations, the US Air Force did not intercept any Turkish aircraft nor did it target any Turkish military unit on the ground. But after the surprise decision by US President Donald Trump to withdraw from Syria, the Syrian air dominance situation has changed. What is obvious is that the US Air Force will no longer have the same dominance over northeast Syria. Who will be the new boss then? Undoubtedly, Russia. The YPG knows the importance of declaring a no-fly zone over northeast Syria. We have heard of reports that the PKK-affiliated YPG had spoken to France about possibility of declaring a de facto no-fly zone in northeast Syria. Some argue for a UN-imposed no-fly zone over the skies of northeast Syria, similar to the one established in Bosnia in 1993 following UN Security Council Resolution 816, which authorized the enforcement of previous bans on all flights over Bosnia. Given the Russian and Chinese power to veto in the Security Council, however, passing anything resembling this resolution today seems highly unlikely. Ankara, which appears to have received the blessing of the United States to use the northeast Syria airspace, followed up by sending its top defense and security officials to Moscow to secure permission for its flights. Ankara believes it is essential to use Syrian airspace both for its operations east of the Euphrates and to eradicate IS elements. 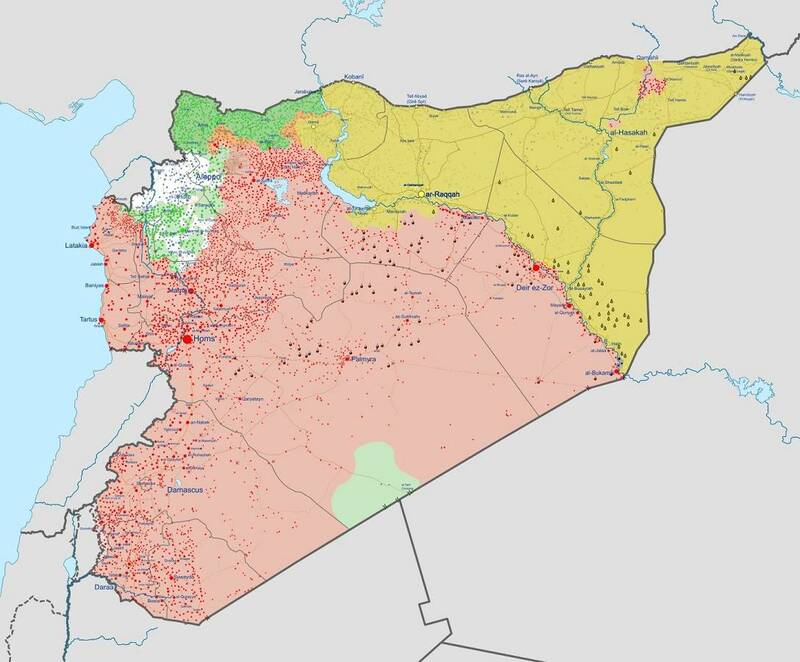 Well-informed sources in Ankara who didn’t want to be identified said Ankara has plans to use the Syrian airspace and some bases that the United States will evacuate to eliminate IS elements who are 300-350 kilometers (185-220 miles) from the Turkish border. That would mean flights by Turkish F-16s as deep as Deir ez-Zor in Syria. Ankara will also ask for coordination with Russian forces to persuade Assad forces to avoid targeting Turkish air force planes and helicopters. In the third week of December there were unconfirmed local reports that Assad’s forces might unilaterally declare a no-fly zone upon request of the YPG. Ankara officials say they think that Damascus could not initiate such an action without Moscow’s permission and that although Assad’s forces have S-200 and S-300 air-defense systems, they are not technically capable. Turkish sources have been telling Al-Monitor that Ankara has been closely monitoring Israel’s “preventive” air attacks against Syrian targets. Ankara experts say any operation Turkey plans cannot be canceled just because Syrian President Bashar al-Assad’s forces have air defense systems. As a deterrent against Assad’s forces, Ankara primarily would rely on air-to-surface missiles and the TEBER-82 precision smart weapon, which were recently developed by Turkey. Would Turkey dare use airspace in northeast Syria despite opposition by Moscow? No.If Ankara had been thinking of an air operation despite Russian opposition, the high-ranking Turkish delegation would not have been in Moscow on Dec. 29.